Rated power：280W. ●1 x Solar Water pump (with cable). Inhalation caliber: 0 (mm). 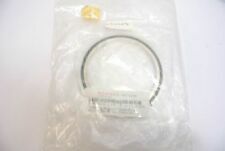 Rated flow rate: 3m³/h. ●Wide use, community landscape, water tower construction. ●Increased flow and more water. Due to the light and screen setting difference, the item's color may be slightly different from the pictures. Direction of rotation: CCW (Look from the Motor Direction). 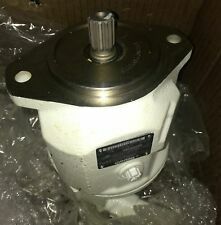 This is a kind of oil pump driven by DC brushless motor. The oil pump is with high-quality and high-reliability. When testing the maximum pressure is more than 18MPa. 100% New and high qualityThis manual siphon pump is used to transfer water, oil or other liquids quickly and easily. New top quality manual siphon pumpEasy-to-operate utilizing a large ball type siphonHas an white air valve at the top to stop the flow of liquidTransfers fuel from kerosene container to heater quickly & safelyCan be used to remove water from clogged sinks, waterbeds, broken wash machines, boat and pool CoversBall type siphon pump for easy operationBall Color: Red Material: PP PE EVA.Diameter of the input hose: Approximately 2cmLength:65cmDiameter of the output hose: Approximately 2cmPackage included :1 x Car Oil Gas Liquid Pump Brand Unbranded MPN Does not apply UPC 4894462106679 UPC 4894462106679. Rated power：220W. Max.Pumping Head：45m. 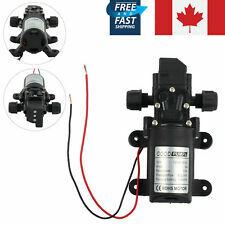 The water pump prohibit the use of 220V for household use. - Special T-type universal plug for electric vehicles, beautiful atmosphere, easy to use. 1x Water Pump. Powered pump is perfect for electric drill. 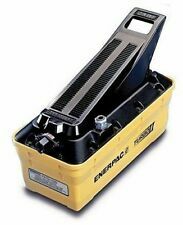 Suitable for use with electric drill with output of 350W or more. Ideal for transferring light liquids such as fresh water, sea water, oil, dilute organic solvents, insecticides & liquid fertilisers. Vacuum chambers are required to assure a bubble-free mold when mixing resin and silicone rubbers and slower setting resins. Our vacuum chamber greatly reduces gas bubbles and pockets that would weaken the epoxy or silicone. ✔POWERFUL - suitable for viscous, non-viscous liquid. 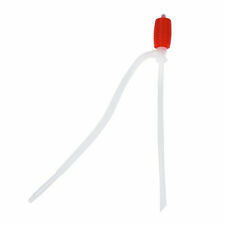 ● 1 x Water Pump (With Tube 3mm ID x 5mm OD). ●PUMP TUBE MATERIAL TYPE: silicone. ✔EASY USE - the pump head designed for easy disassembly, easy to clean and maintain. APC works with 110 or 220V. -up to 1.5HP with 220V. • Starting the pump with minimum difference in water pressure (opening of a tap), thus avoiding continuous. switching on/stopping of the pump. • Automatic stopping of the pump after using the water (closing of tap). 1x 12V DC Water Pump. - Maximum Flow : 3.5L / min. 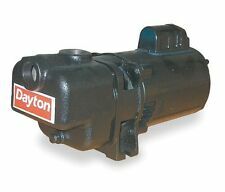 - With high stability and high pressure water pump, to protect the pump life is longer than normal. - Drive : Electric. - Highest Heat Resistance : 55 °. Maximum pressure: 80kpa. Rated flow: 5L / min. 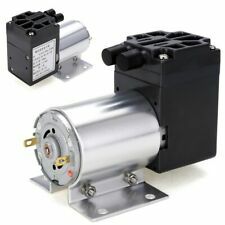 1 x Mini DC Vacuum Pump. Degree of vacuum: 50kpa. Low noise, low power consumption. USA, Canada, United Kingdom, Austrilia, France, Germany, Spain, Ireland, Italy, Others. Milk machine, dishwashers, disinfection machine. Lift : 1.5m. 1 Pc x Pump. Water temperature: 10~40℃. Also note that monitor settings may vary from computer to computer and may distort actual colors. This manual siphon pump is used to transfer water, oil or other liquids quickly and easily. Easy-to-operate utilizing a large ball type siphon. Ball type siphon pump for easy operation. Siphon Hard Tube Length: 41cm (approx). Empty load current: 0.18A. 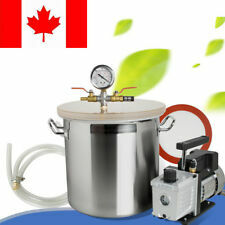 Life: up to 2500H, water temperature: up to 80 ℃. Detail Image. USA, Canada, United Kingdom, Austrilia, France, Germany, Spain, Ireland, Italy, Others. Canada, United Kingdom, Austrilia, France, Germany, Spain, Ireland, Italy, Others. 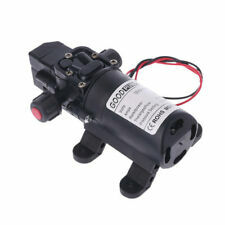 G55 Series Gas (C02)/Air Driven Pump. Model No. : G55 Series. Built-in auto shutoff, automatically shuts off pump when bag is empty and restarts when a full bag is connected. 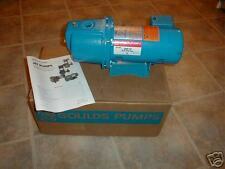 Pump Drive CO2 gas, Nitrogen or compressed dry filtered air. This siphon pump can quickly and easily transfer fuel, water or other liquids from one container to another. Plant Seeds. Printing & Graphic Arts. Healthcare, Lab & Life Science. Key Chains, Rings & Finders. Which are not convenient to refuel. gas station to refuel. Fits for water, diesel fuel, kerosene. It is strictly prohibited pumping gasoline, alcohol and other flammable fluids! Stainless steel filters and screw thread interface, easy to disassemble, repair and replace, and those can not reach the. Structure: Barrel Pump. Theory: Electromagnetic Pump. 1 x Oil Pump. Usage: Oil. Outlet: 16MM. Standard or Nonstandard: Standard. Flow: 12L/Min. Power: 40W. Pipe Length: 50CM,110CM. 1x import pipe. 1x outlet pipe. 1x Oil Pump. Material: Plastic. Color: Send by random. (Vacuum Pumpx 1pcs. [Maximum vacuum]> -400mmhg. [Pressure Range] 500-700mmhg. We will try our best to resolve the issues. Local pick up is not available. excluded.). [Weight] 45g. Flow rate: 6000L/H (1620GPH) approx. Discharging of bilge water. -Great for clean or dirty water. Washing on the deck. Pumping fresh water in preserve. Install the pump body (strainer cover) on the desired locations. Glass fibre reinforced polypropylene (GFRPP) wet end. Ease of maintenance. Handle a wide range of chemicals. Motor: 0142. Self priming, silent running, low power consumption. Volts: DC12V. Motor duty cycle will vary with load and ambient temperature. Totally sealed, high stable pressure. Max pressure: 0.9Mpa. 30MPa pressure, this hand pump is normally used for small cars. Air Pressure: 30MPa. Handle is easy to hold, non-slip and provide a comfortable feeling. 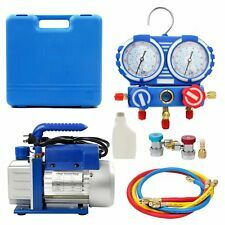 There is a pressure gauge from which you can easily check air pressure. You may replace the old electronic circuit board if your switch has a problem with work. 1 X Automatic Electronic Water Pump Circuit Board. Maximum Power:1.1KW - 2.2KW. We will try our best to reduce the risk of the custom duties. 1/2 Horsepower Clear Clean Centrifugal Water Pump. Liquid Temperature up to 35 C. Cast iron construction. Max Suction Lift: 30 feet. Clear water operation. No-Load Speed: 3400RPM. Max Flow Rate: 30 CBM / Per Hour.